It has literally been months since my last post. I be predictable and say that I’ve been busy. While true, that is not the interesting part. I’m going to be even more busy in the next months! Let’s start with today and look forward. 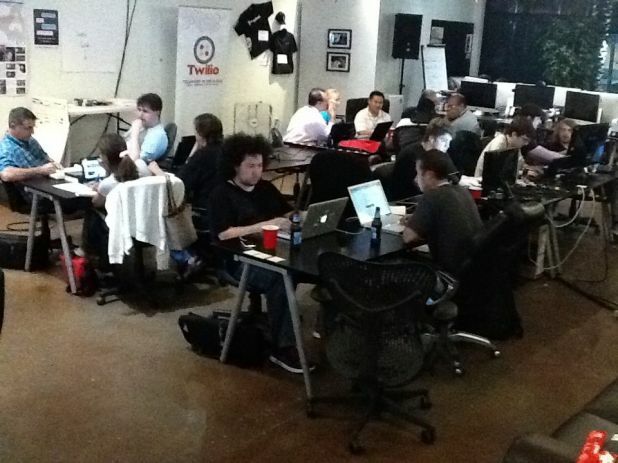 Starting yesterday evening and going on today through tomorrow is the Startup Weekend Chandler event. These events are about learning and networking in an extreme environment to create a company in one weekend. People show up with product ideas, form teams and work on building as much as they can until the weekend is over. Very intense. I am participating as a mentor to the teams. Last night I was swamped with requests of quick overviews of Scrum and Agile and how it could apply in such a fast paced development run. 10-15 minutes of talking together does not an education make. Still, I think the teams here are applying some of what we talked about. I see team boards and sticky notes all around Gangplank! On Saturday, July 23rd, my friend and superb Agile Coach Bachan Anand will lead a one-day Scrum and Agile training class at Gangplank in Chandler, Arizona. If seen the content, it is great information and a bargain experience for the $195 price. What is special is that Bachan is doing this also on a donation basis. If you are in transition between positions you can pay what you want for the class. Go to the registration page and sign up your whole team! It will be a great experiential learning event. I have been invited to speak at the AgileFest conference in San Jose, Costa Rica, July 28-29. The agenda is full of excellent presentations. I’ll be doing two sessions and participating in a third to help people understand different specific aspects of applying Agile to real world work. You are welcome to fly down and join us in a beautiful country! Monday and Tuesday, August 1-2 Micheal Vizdos will be in town to offer his unique workshop for a ScrumMaster certification from the Scrum Alliance. I will be co-training with him and enjoying his thoughtful, interactive style. Please sign up right away as the seats are going fast for this popular class. Look for more posts from me, more often. Neglect of this channel is not good for me. Or you!